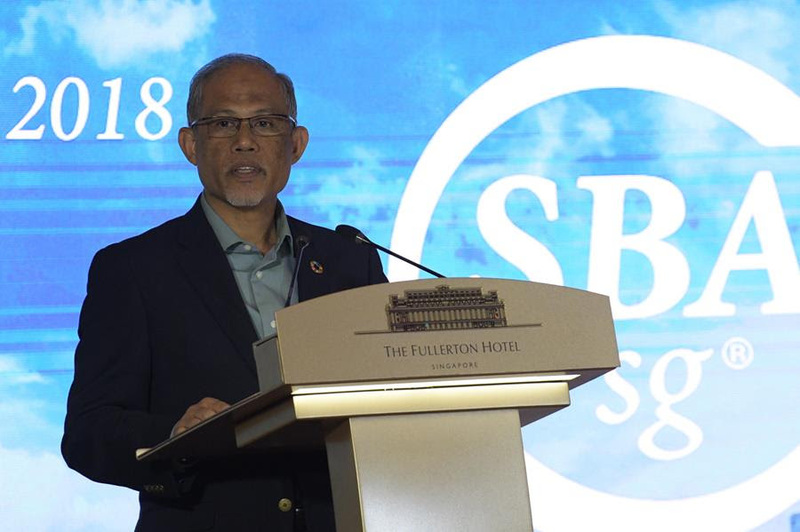 Singapore, 26 July 2018, The winning companies of the 2018 Sustainable Business Awards (SBA) were announced today in the presence of Minister for the Environment and Water Resources, Mr Masagos Zulkifli. Nearly 70 of Singapore’s largest companies and SMEs entered the awards, making it a record year for entrants. Nearly half of the winners across all categories this year are Singaporean companies (full list of winners below). This year has also seen the highest number of new companies entering the Awards with over 70% being first-time contestants. Organised by Global Initiatives, the awards’ 4th edition is run in collaboration with PwC, Business Council for Sustainable Development (BCSD), Control Union and the Fullerton Hotel. Established in 2012, the Sustainable Business Awards is the region’s leading sustainable awards platform, recognising outstanding leadership in sustainable business practices. SBA awards businesses through a rigorous assessment using a methodology that scores both process and performance across the following 12 categories; Strategy and sustainability management; Workforce; Community; Energy management; Water management; Waste management and material productivity; Climate change; Supply chain management; Land-use and biodiversity; Business responsibility and ethics, Stakeholder engagement and materiality, and the UN’s SDGs. This year the SBA has also created two new award categories – Best Social Enterprise and Best Public Sector Service. These categories aim to give recognition to organisations which are not always acknowledged for their sustainability efforts but often have a big impact with local communities. “Singapore’s sustainability leadership is evident in this year’s awards, both in terms of business engagement as well as a country, leading by example in the region. Business can and must strengthen this momentum even further to progress on the Singapore sustainable movement and reach the 2030 UN Goals in time.” Remarked Tony Gourlay, CEO, Global Initiatives. For the company profiles of the winning companies, click here.